Getting a product from A to B needs to be carried out as quickly, safely and efficiently as possible. With Richmond NZ’s wheel conveyor tracks, flex conveyors, line shaft conveyors, lightroll conveyors and more, our customers have no problems moving their goods within warehouses and manufacturing environments. Your control over the situation can be made so much easier when you have your own correctly specified conveyor system. Conveyor systems are an ideal solution to reduce manual handling of goods within your business. They’re designed to move products within your business faster and with less effort. If you’re looking for a complete range of conveyor systems and components, Richmond NZ can provide you with a solution. Browse our range to find gravity conveyors that include wheel conveyor tracks, flex conveyors, line shaft conveyors (manual and powered), and much more. Our standard range of conveyor rollers are capable of carrying up to 120kg per roller, and we also have the ability to custom manufacture conveyor systems to handle much greater loads. 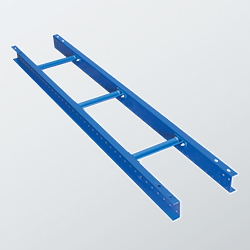 Meanwhile, our range of flow and skate rails can carry loads of up to 250kg, allowing you to create a smoother and more efficient operation. With over 50 years in the engineering supplies business, Richmond NZ is the company you can trust to deliver high-quality, exceptionally made products that will give you years of use. Call our friendly team today on 0800 61 71 87 to learn more. We are always happy to help and to offer advice if you have any questions about our line shaft conveyors, including lightroll conveyors, flex conveyors and more.